A full bodied red ale with a slight bitterness and highlights of tropical citrus settling down to roasted caramel. The latest beer kit available from the Tiny Rebel Brewing Company. Very modern design with American ale yeast and 4 packets of hop pellets which makes the kit literally bursting at the seams for space and flavour. 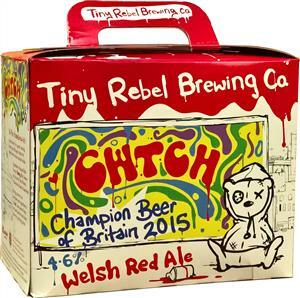 Cwtch, said kuh-utch, means hug/cuddle and won Chapion beer of Britain 2015.